If your arrangement is feeling a little static or stale, changing up the drums and percussion can often prove to be just the restorative it needs. There are countless ways in which this can be done, from simple single-hit tweaks to more complex full groove transformations. Here, we're going to fire up your imagination with six quick and easy beat alteration tactics that you can try today. For more arrangement advice and tutorials, pick up the August edition of Future Music. 1. 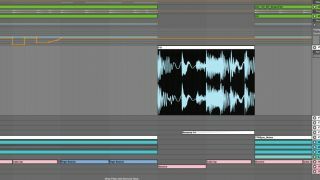 The most basic variations in rhythm can inject life and interest in even the most repetitive of tracks - and they don’t come any more basic than the tried-and-tested technique of kick drum edits. At the end of every eight or 16 bars, simply add or remove kick notes to signify change. 2. Altering the length of drum hits can be subtle, but nonetheless effective. If your track has a clap with a long, reverberant tail, shorten the hit and cut off the reverb at certain sections to alter the drum groove’s flow at key points. 3. Filters are great processors for dulling or thinning elements - especially when you need to alter a song’s momentum. Cut the bass from a track’s kick at key points, low-pass your hi-hats, or even automate a band-pass filter’s cutoff over the entire drum bus. 4. Want to let the listener know that something’s really about to change? Then it’s time for a drum fill! Either program your current drum groove to speed up or alter at the end of a section; throw in additional percussive elements or loops; or mute all the beats and replace them with a premade drum fill sample. 5. Effects plugins are great for embellishing rhythmic elements already present within a drum groove. A classic house production trick is to send the snare or clap to a cavernous reverb on the last beat of an eight- or 16-bar segment, allowing it to carry over into the next section. 6. Messing with the density of a drum groove is another vital arrangement tactic. Silence all of your percussion and the dancefloor will cool down as the lone kick carries all the rhythmic momentum. Throw in extra ride cymbals after 16 bars, and things will step up a notch.